June brings along with it different things for different people, for some it’s the promise of rain, for some summer, for some new beginnings, but collectively for all, it brings along with it the Wimbledon. The oldest tennis tournament, it’s widely considered as a prestigious game, a gentleman’s game. With a strict white dress code, you see seeded tennis players sweat it out, as they try to win the coveted title. Held in London since 1877, each year millions flock there, some booking months in advance to be a part of this tournament, even if it is as audience. Most of us aren’t lucky enough (read rich enough) to fly off to London every year. But with the invention of High Definition (HD) plasma TVs, the home viewing experience has become almost realistic. What could enrich this all the more is Food. So what if the air ticket to London is too expensive? We can get London to you! With these traditional English delicacies, you can sit at home and get the complete Wimbledon experience. Nothing says British like Fish and chips. Having originated as the stock food for middle class workers, today it is a famous English delicacy. 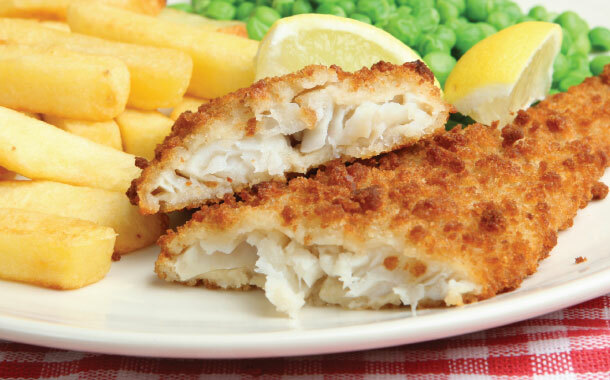 Commonly the cod and haddock fish are used for this dish, but if you’re making this dish at home you can pick any fish of your choice, but make sure it’s boneless. The batter consists of flour, water, baking soda and salt. You can even add a little lemon or vinegar for the zest. All that’s left to do is fry it and pair it up with a side of good old American french fries and plop yourself in front of the screen and get the authentic Wimbledon feels. 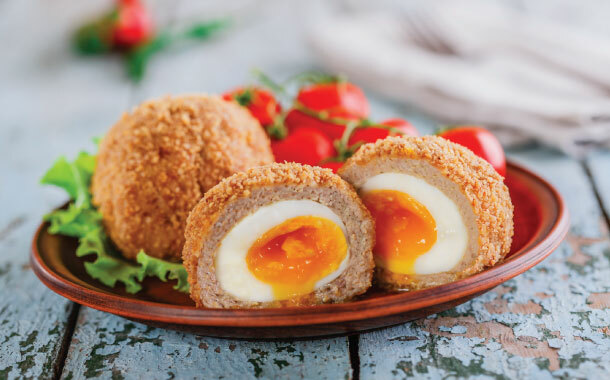 Now, if you’re an ardent fan of the Masterchef series, then you have some idea of what a scotch egg is; for others, it’s a famous English picnic food. Many British themed pubs often feature scotch egg on their menu. If you check out images of the dish online, it might seem complicated, but in reality it’s not. Boil the egg for exactly 9 minutes after which peel of the shell. Get ground meat (kheema) and season it with salt, parsley, thyme, pepper and other herbs. Flatten it out and wrap the egg in it. Dip the roll in egg, coat it with bread crumbs and then fry it. Voila! Your English delicacy is ready. Very different from your usual caramel pudding, the Yorkshire pudding is often used as a side dish, to be had with gravy and Sunday roast. A very simple dish to make you could easily substitute it for roti and have it along with your chicken or vegetable curry. You make a batter of milk, flour, eggs and pour it in oiled or buttered ramekins and pop it in a pre-heated oven and watch the magic happen. 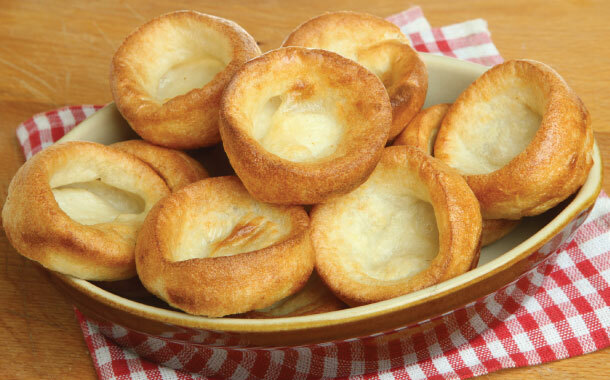 If you’ve made the Yorkshire pudding, you could go the extra mile and make the Sunday roast as well. Though it might sound like a daunting task, it pails in comparison to the efforts put in by the tennis players. 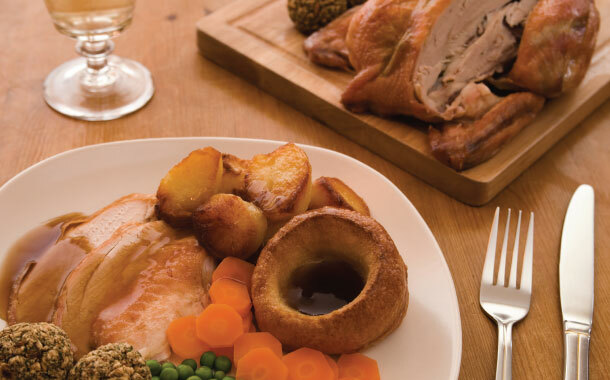 The Sunday roast is typically made out of beef, chicken, lamb. Since the first option isn’t available to us here, you could pick any of the other two meat options. This dish is presented with a side of steamed or roasted vegetables and the Yorkshire pudding. A combination of the Sunday roast with the Wimbledon playing on your TV will make you feel as if you’re in London, right in the middle of all the action. What more do you need? If this post has inspired you to book a flight ticket to London, you might want to check out our Europe Tour Packages to get the best deals.